A Tennessee teen has prevailed against drug giant Johnson & Johnson (J & J) and its Janssen unit, receiving a jury verdict in his favor and an award of $70 million in a Risperdal gynecomastia lawsuit. The jurors in the case found that officials from J&J did not fulfill their obligation to warn physicians and the public of the risks posed by antipsychotic drug Risperdal (risperidone), particularly the likelihood that its use could cause unwanted breast growth in males. The award in this case is approximately 30 times greater than that won by a patient in 2015 who had experienced the same devastating side effect. In this groundbreaking case, 16-year-old plaintiff Andrew Yount initiated litigation against J & J in which he alleged that his use of Risperdal was responsible for the breast development he experienced. According to the complaint in this case, Yount began taking the medication at age 5 and was never informed of the risk of gynecomastia. The plaintiff also argued that J & J officials had taken steps to minimize or prevent disclosure of studies indicating the dangers of breast growth in males using the drug. J & J and Janssen have voiced their disappointment with the verdict and its size, suggesting that the risks of gynecomastia were in fact incorporated in safety labeling and that the dollar amount awarded in this case was excessive. Officials argue that the $70 million figure is entirely out of step with any reasonable analysis of actual damages suffered by the plaintiff, and that millions of Risperdal patients have reaped significant benefits from their use of the medication. J & J continues to face approximately 1,500 additional lawsuits concerning Risperdal and gynecomastia. The Yount verdict is the fifth instance in which the drug manufacturer has been defeated and found by juries not to have provided necessary warnings to doctors and patients. While J & J has already entered into settlement agreements with some gynecomastia plaintiffs, attorneys and victim advocates are now urging the pharmaceutical maker to consider crafting a global settlement plan to compensate those negatively impacted by Risperdal. First receiving approval in 1993 from the U.S. Food and Drug Administration (FDA) for the treatment of schizophrenia, Risperdal is an antipsychotic medication which has also been widely used to treat bipolar disorder and autism spectrum disorders. 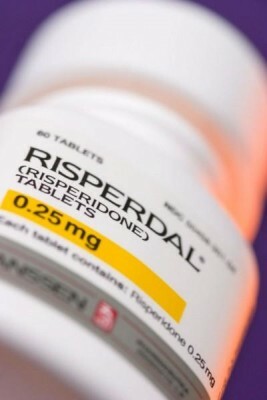 Other conditions for which Risperdal has been used have included depression, sleep disorders, attention deficit hyperactivity disorder and anxiety disorders. Despite multiple research studies linking Risperdal with male breast growth and milk production, J & J failed to provide warnings to prescribing doctors or the patient population in general. Adding to the criticism and controversy surrounding Risperdal is the long history of aggressive marketing initiatives undertaken by its maker, broadly designed to increase pediatric use of the medication, an application which did not receive FDA approval until 2006. Many current Risperdal gynecomastia plaintiffs were given the drug prior to 2006, as so-called off-label usage of the treatment grew in popularity. Considering the large number of cases still pending against J & J, the $70 million verdict in the Yount case may indeed prompt commencement of large-scale settlement discussions with affected individuals.